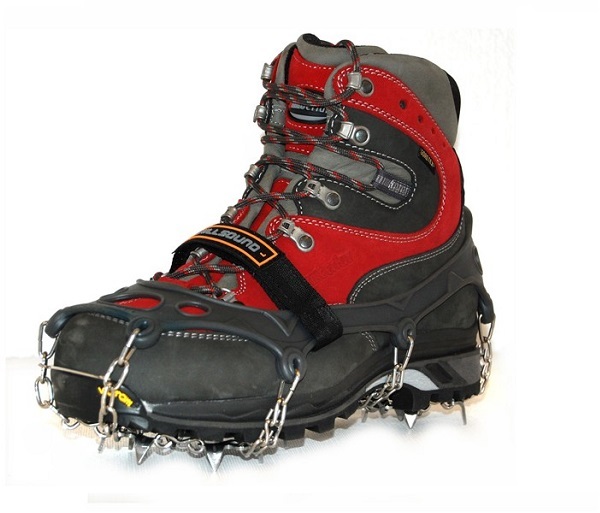 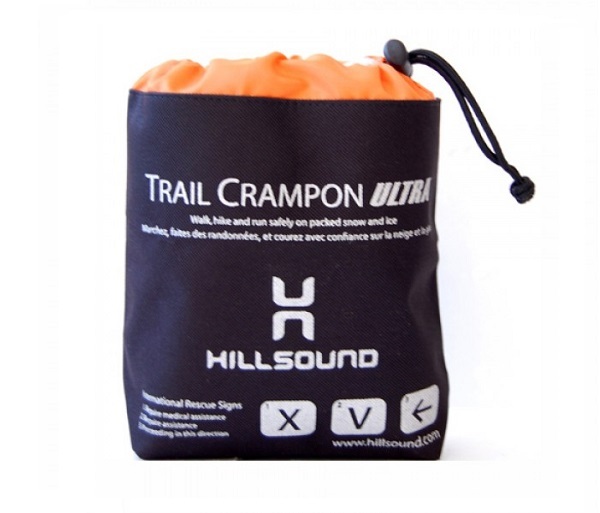 Made by Hillsound of ultra high-strength stainless steel for durability and weight reduction, the new Trail Crampon ULTRA brings the Trail Crampon's legacy of superb traction performance to those needing to travel faster and lighter. 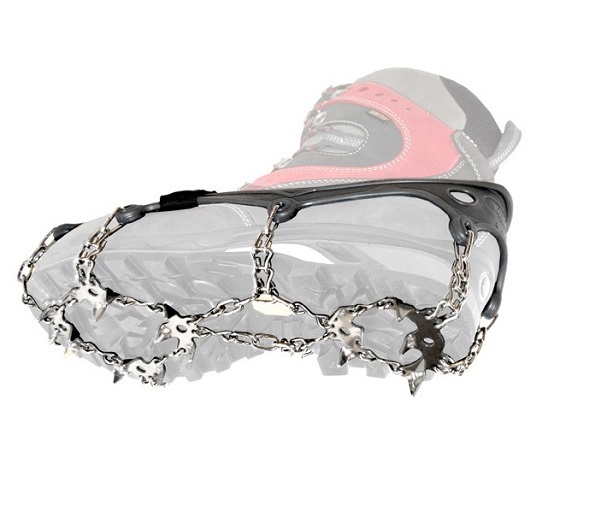 Double-sided chains keep a tight grip on shoes to prevent shifting of traction device. 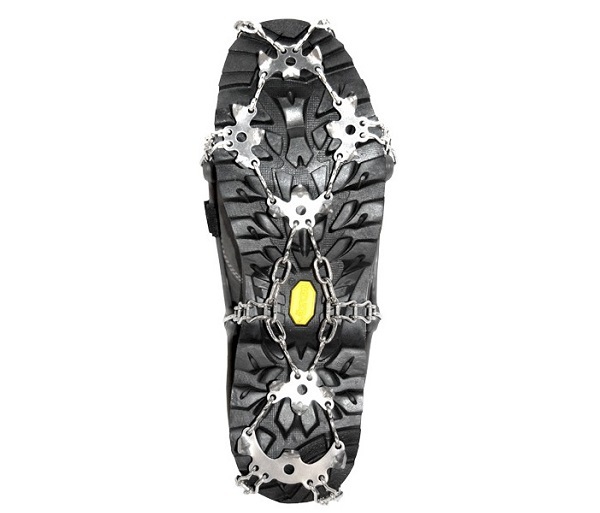 Larger heel plate gives secure traction and ultra stability for descents and trail-running.